In 1970, the "Reissue" Skipper #0950 appeared on the market - with basically the same features as the SL Skipper sold until 1968. Her markings were © 1963 Mattel, Inc. and she was available with the basic hair colours of the SL Skipper dolls of the previous years: Blonde, brunette and titian. 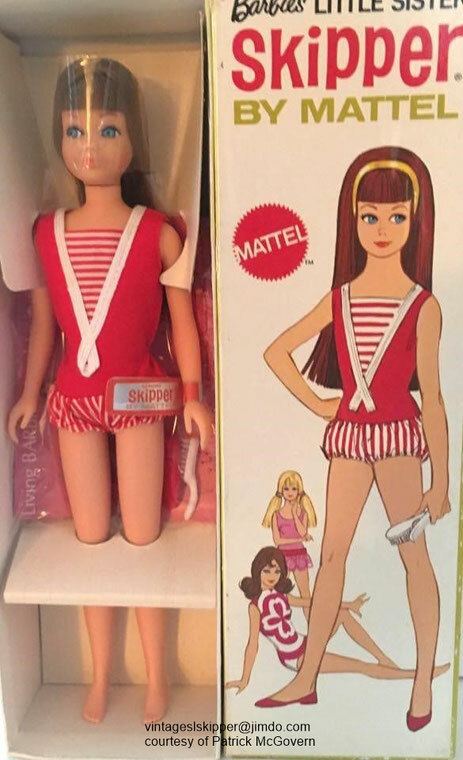 This Skipper doll came with blush. Titian dolls are the hardest to find. If you look at her closely, you can see that her eyes look different from the early Skippers. 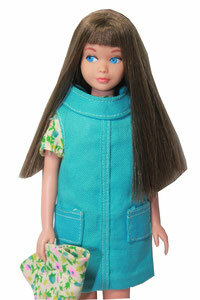 These also differentiate her from the early pink skin Skipper dolls. 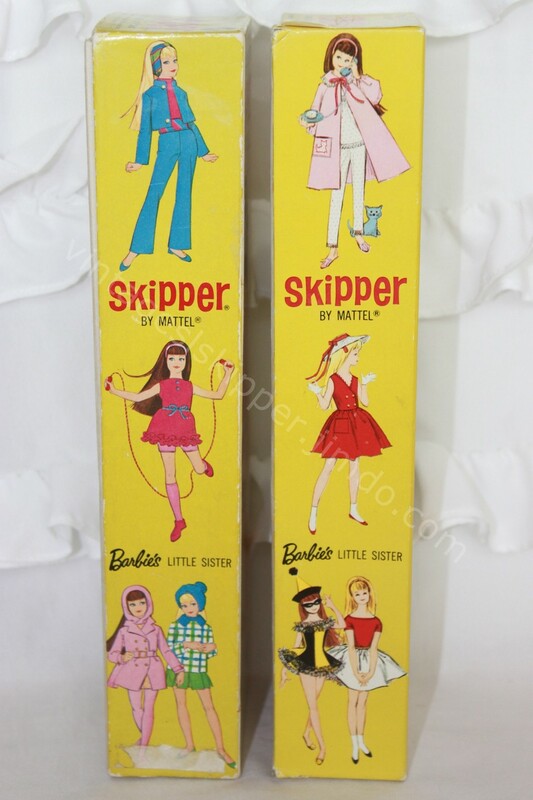 She came in a box that resembled the boxes of the early SL Skipper dolls, but the new boxes pictured mod outfits and had the new Mattel logo. The old booklet was replaced by a new one and Skipper now came with a clear plastic "x" stand instead of the wire stand. 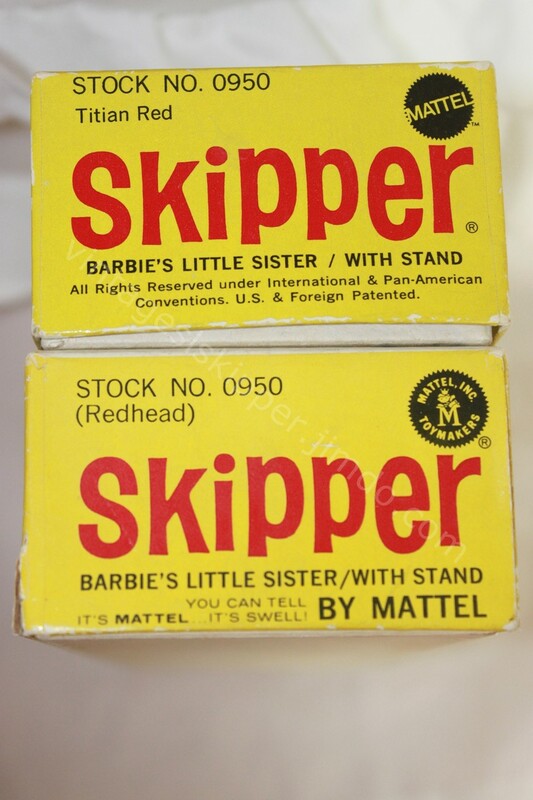 Though she had the same head mold as the SL Skippers sold before, she looked a little different from the pink skin SL Skipper issued between 1966 and 1968 and had a very nice pink skin tone and full hair. I guess the material used on her was quite diverse from the material used before and had been improved. Still, the majority of these dolls found nowadays have discolorations or faded lips. 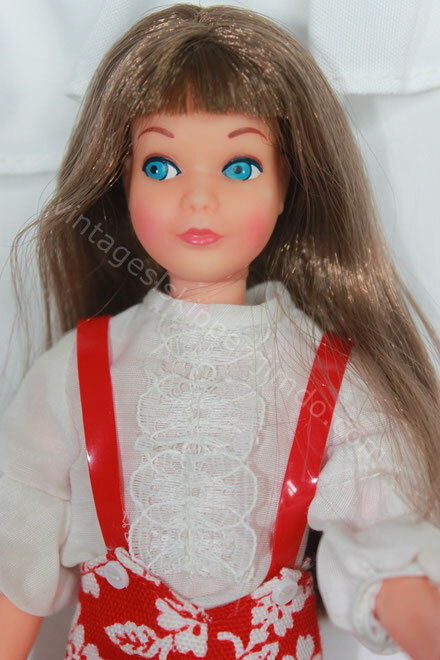 You can find Reissue Skipper dolls with different hair lenghts and different lenghts of bangs. Some dolls have a lot of hair, some come with rather thin hair. There are also so called "high color" Re-Issue Skippers with have a colorful make-up and blush. These are very rare. 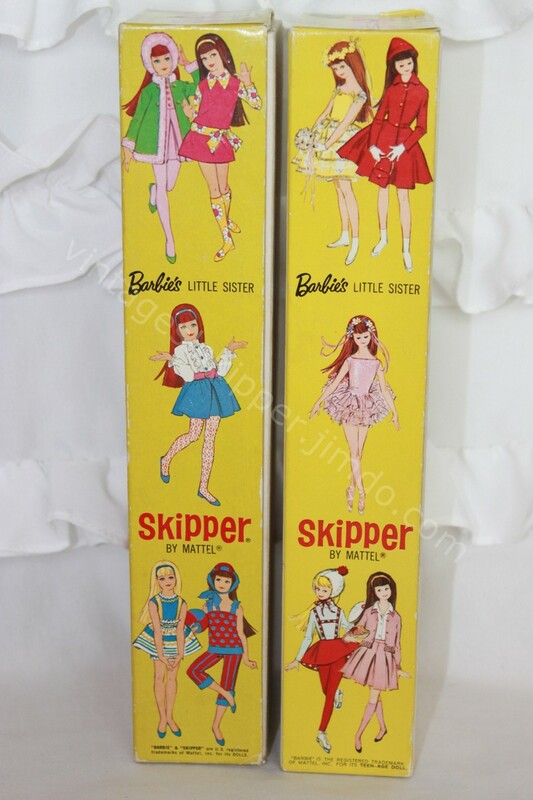 I believe since other Skipper dolls were also available at that time they were not produced in such large quantities as the early Skipper dolls. They are very hard to find (extremely hard to find in a good condition, with unfaded lips or without discolorations). Left picture: Top: re-issue box; bottom: old box. 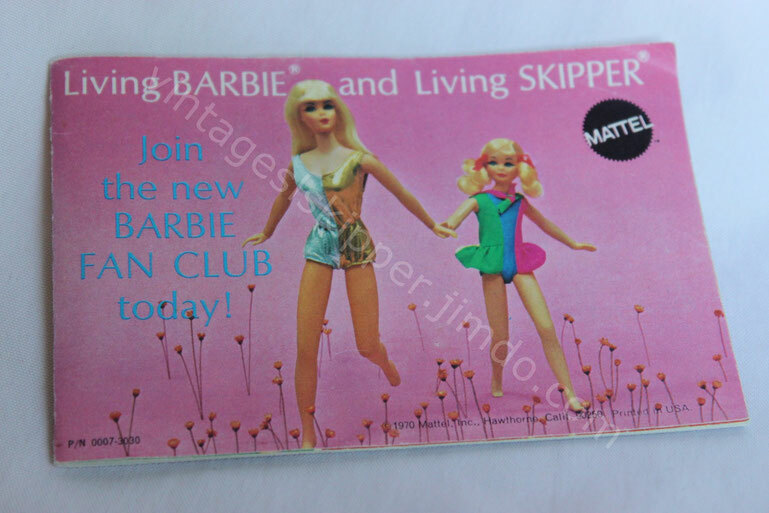 Please note: (Redhead) was replaced by "Titian Red"
For a comparison of this doll with the Pink Skin Skipper and the European Skipper, please go to the page "Straight Leg SL Skipper ..." (you can find it approx. in the middle of the page).